A bowtie inlay, also called a dovetail or butterfly inlay, serves a couple of purposes in your woodworking. 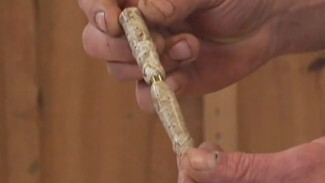 If you’re working with a piece that has a crack in it, you can use a bowtie inlay to bridge the crack and stabilize it. If there’s a defect in your board that you want to mask, you can inlay a bowtie or butterfly to cover the defect. 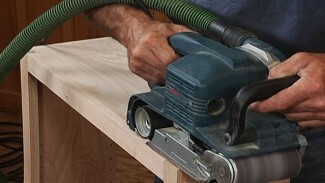 Or, if you simply want to add a great looking effect to your woodworking project, this may be it. A bowtie is, basically, a double-ended dovetail. This video provides you with the recommended angle for the dovetail slope. 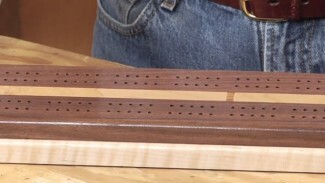 If you’re working on a dark wood, like the walnut shown in the video, you’ll find that it’s much easier to see lines made with a charcoal white pencil that those made with a regular pencil. The bowtie shape gets finalized with a little chisel work. The bowtie recess is created by freehand routing. This isn’t as complicated as it may sound. There are some great tips and tricks that’ll help get you through the process. Of course practicing in scrap is always a good idea. The router work is followed up by chisel work. Having your chisel nice and sharp will make it easier to pare to the lines, so spend a little time honing the edge before you get started. 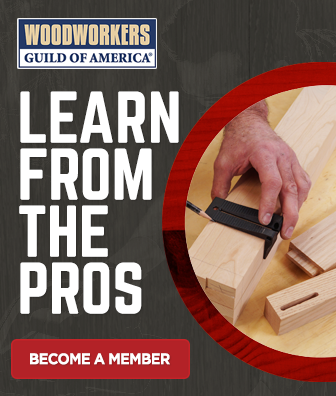 One of the cool things about woodworking; there are lots of ways to accomplish woodworking tasks.Check out this article for more info on custom-cut butterfly joints. On pieces with hairline cracks it may make more sense to repair wood cracks than to span them with a bowtie. 1 is that the grain or did you like the look of burn in the top? Also what’s the tape on your hand. Didn’t look like was covering an injury. There are dark spots in the grain that I think are resin pockets in the pine, but I never figured out for sure what was causing them. But they’re not burns. I had my fingers taped for a while to overcome a ligament strain; totally unrelated to woodworking. I am about to start a project exactly like this that I’ve had on my “to do” list for 9 years. Lo and behold I found your video that shows exactly how to do it. Clear and easy to understand. You have inspired me to get working. I do have a question about finish. My table will be outside on our deck and exposed to the elements. In my case, the cookie is from a giant hardwood tree (cherry?) that came down at my friends house in a storm back in 2010. It is well aged and dried now. Have you any recommendations as to how I should finish it? Hi Michael. This will come down to your preference for maintenance and what look you are after. A spar varnish looks great, but requires annual maintenance. Another option would be a penetrating clear deck sealer. For a project like yours, I would probably lightly sand and reapply every year. But this annual ritual will be a minor effort compared to re-coating spar varnish, especially if you miss a year or two and it starts to flake off. So, my preference would be to use a penetrating deck sealer (not the kind that builds up on the surface like paint).